When observing a sport as popular as soccer, it’s hard to imagine that its origins are ultimately hard to trace. Throughout human history, whenever men from various civilizations have had a flat field and a ball, a soccer-like sport would quickly emerge. In Ancient Egypt, the population enjoyed playing a soccer-like game during yearly fertility feasts in honor of the flooding Nile delta. Egyptologists have discovered 2500 year-old tombs possessing sporting equipment once used by their ancient owners, such as balls made of linen and wrapped in animal intestines or skin (to improve their bounce) and covered in bright cloth. 2000 years after the Ancient Egyptians, between 476BC to 221BC, the Han Chinese developed their own soccer-like variant called cuju, which roughly translates to “kick the ball with foot.” Similar to the modern soccer, two teams of roughly 10-16 participants would play on a rectangular field kicking a leather ball stuffed with feathers through the opposing team’s goal. Furthermore, ancient cuju players were able to, much like modern soccer players, touch the ball with almost any part of their body, apart from their arms and hands. 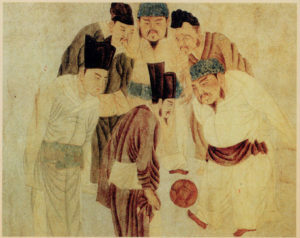 Eventually cuju became so widespread and popular that imperial Chinese authorities organized matches between professional cuju players before its decline in popularity during the 16th century. In ancient Europe, the Romans also partook in a soccer-like sport, albeit one which was more anarchic than the game enjoyed by the Chinese. The Roman game involved two teams with 27 players each and almost no rules for getting one’s team ball into the opposing goal. The game was so popular that when the Roman Empire spread eastwards, absorbing Greek lands, the sport became included in the Olympic games. But on account of the lack of rules, the sport was known as an extremely violent one. The history of soccer is heavily linked to Britain. Therefore it doesn’t come as much of a surprise that the tradition around kicking a ball through a goal was preserved during the tumultuous Medieval era. Medieval soccer was more of a mob sport than the “beautiful game” we’ve come to enjoy. 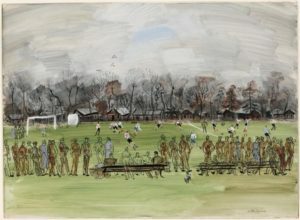 The game involved two large teams which would employ almost any means necessary in landing a goal, with the general concept remaining the same: two teams, two goals, one ball, get the ball through the goal. The sport was so popular among the masses that very often fallow fields became bloody pitches with beaten and bruised men fighting over scoring; the mobs spilling into the nearest town and descending into uncontrollable rioters. The sport become so violent and uncontrollable that in 1365, King Edward III banned it while the King of Scotland, James I, followed with similar legislation in 1424. Regardless of the ferocious nature of the game, Medieval soccer had become so deeply entrenched in British life that royal laws were ultimately hard to enforce, allowing its survival in one form or another to the 19th century. 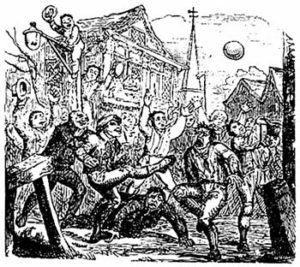 In October 1863, representatives from eleven London football clubs and schools converged on the Freemason’s Tavern in an attempt to firmly establish fundamental rules for the game along with forming the “Football Association.” Parallel to this, those who wished to adhere to a more physical game formed the “Rugby Football Association.” In 1863, most major disputes surrounding the rules of football/soccer had been concluded. By the end of the century, seeing as the British Empire stretched around the globe, sailors from the Imperial Navy spread the new sport throughout its colonies and overseas possessions. By 1904 an international governing body, FIFA, had taken shape, along with various national leagues being established by the 1930s. Americans play the game under a different name. Why? This has been a source of British frustration and jokes towards North American fans of the game. Why do most people on the planet call the sport “football” (or a variation thereof) whereas Americans and Canadians opt for soccer? Soccer has become the world’s most popular sport with over 265 million active players worldwide and is played in every country. The reasons for the sport’s popularity is not hard to fathom. The game is simple to understand, easy to play, and given a flat surface, can be played almost anywhere. Hardly any expensive or complicated equipment is required apart for material to make a ball; poor children in Brazilian favelas scrapping plastic together to fashion crude spheres to kick around with their bare feet. Furthermore, the international tournaments are global causes for celebration. 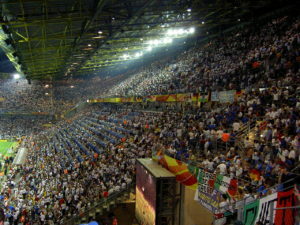 The FIFA World Cup itself has the ability to draw a billion pair of eyes to television screens every four years. The spirit of international competition does not overshadow humanity and love of the game. Goodwill between teams is fostered through the organization of “friendly matches” in which two teams come together for the pure love of the sport in matches that will not affect their international rankings. 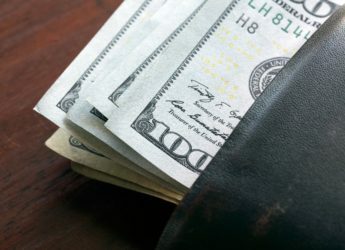 Interestingly, the United States remains the only major nation in which sports such as [American] football, hockey, and baseball outrank soccer in popularity.